Compositech manufactures replacement centershafts which are specialized components designed to provide a solution for customers to replace cast iron or carbon steel components. Compositech's stainless steel centershaft is successfully used by our paper mill clients to replace the cast iron centershaft supplied with most disc filters. The proprietary design of our centershaft features custom made radial rod sockets and tubing for the drive end trunnions. All filtrate tubes and trunnions are 100% seal welded before machining to ensure a smooth, leak free finish. All filtrate tubes are individually removable from the centershaft allowing for easy repair and replacement without requiring complete disassembly of the filter. We design our centershafts to manufacturer specifications. Most recently, we built a replacement centershaft for an Eimco disk filter. This Compositech design centershaft measures 33 inches in diameter with a length of 28 feet, 9 inches. Compositech's Composite Centershaft is a specialized component designed to provide a solution for customers who use disc filters for chemical processing with a corrosive pH level as low as 0.3. Disc filters have been used for the process industry for years and are generally supplied with either a cast iron centershaft or a carbon steel centershaft with elastomer lined tubes. When operating with chemicals at extreme pH levels, the cast iron or steel components corrode in less than a year making the centershaft an annual maintenance item. Our solution to this problem is the Compositech Composite Centershaft. 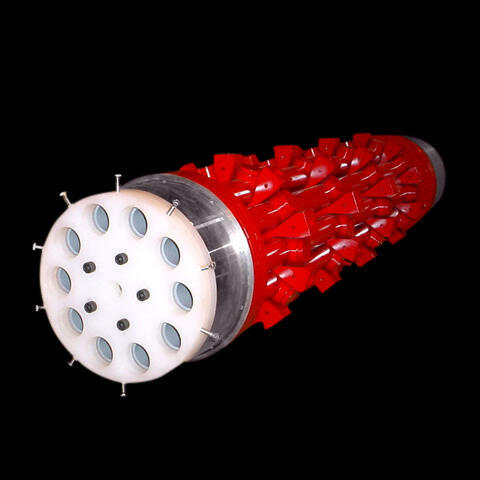 Our centershaft is made of engineered plastics, pultruded fiberglass reinforced resin, and elastomers that all withstand the harshest corrosive environments. We use Titanium and Hastalloy for the required metal pins and fasteners. Our Composite Centershaft is degined to withstand the exposure to low pH material while providing the mechanical integrity to allow continuous operation of the disc filter. 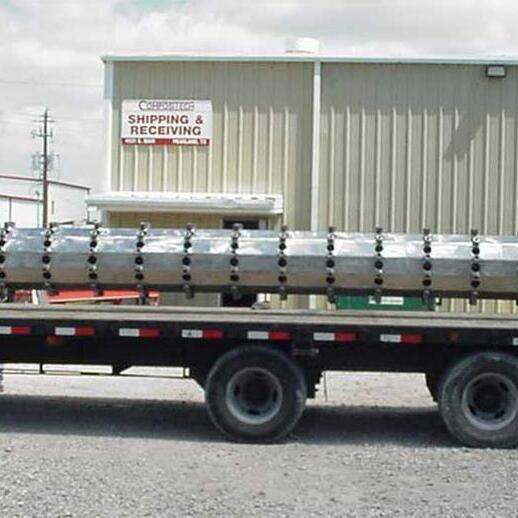 This product has a lifespan 8 times that of a standard cast iron centershaft in a corrosive chemical environment and its production costs are less than twice the cost of the original cast iron component.